Ever wonder how corporations like Proctor & Gamble and Disney managed to enter into the social scene and thrive? Well, they learned to embrace the art of content marketing. A big part of my job involves content marketing. Perhaps, I should add that to my resume, I know it will receive major brownie points on my current employment search. I’ve always been a writer, and a creative soul…so in a sense, the task came…dare I say it…naturally. However, I am aware that everyone is not a writer. Nor is everyone a creative person…and that’s where I come in! By the end of this post, you will have a better idea of what content marketing is, as well as what it is NOT. Wikipedia defines it as the creation and sharing of content – social media, blogs, white papers, case studies etc. – in order to attract, acquire and engage clearly defined and understood current and potential consumer bases with the objective of driving profitable customer action. Simply stated, content marketing is mastering the art of connecting and communicating with current and potential consumers without selling to them. Instead of pitching your products or services, strive instead to deliver information that makes your buyer more intelligent. The essence of this content strategy is the belief that if businesses deliver consistent, ongoing valuable information to buyers, they ultimately reward them with their business and loyalty. 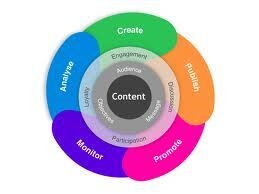 Of course, content marketing requires a great deal of research, strategy and planning on the companies’ end. One thing that has helped me in the process was the creation of a content calendar. Not only have they helped me to keep our brand voice consistent, but it also helps me to get our messages across in a timely, entertaining yet knowledgable fashion. The goal should be to get your audience to like you. If they like you, they are more likely to share your content (hello, brand ambassadors!) as well as become buyers of your product or service. Consumers are shying away from traditional advertising & marketing. However, you can still engage with your buyers by mastering the art of content marketing. 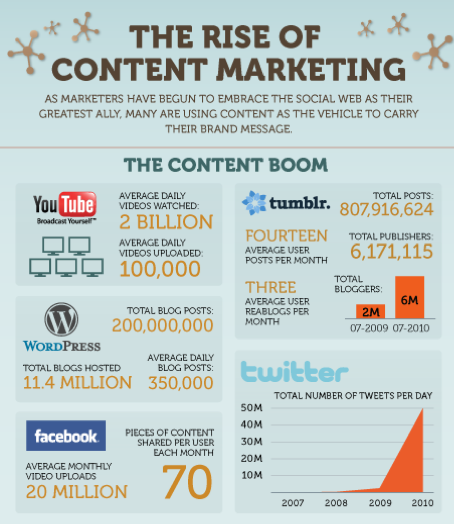 Below is an infographic that attests to the continued growth of content marketing. What strategies do you incorporate into your content marketing strategy? The world has truly become virtual. Plenty of companies, professionals, entrepreneurs and the like are investing in the power of developing a professional blog. If you do enough research, you can find a blog for almost every industry that exists. In addition, plenty of professionals are establishing blogs to showcase their talents and expertise. Having your own professional blog is another way to increase your online presence while connecting with other young professionals worldwide. However, as every other aspect of life, it requires dedication and attention in order for it to reach the magnitude that you desire. Below are a few tips that can help you to start your own professional blog. There are a lot of blogs out there. What is it about your blog that someone should actually stop and read? What is your writing style? Are you informative? Then you could possibly have a blog featuring the current news of your industry. Are you a critic? Then your blog could feature product designs and reviews on them. Also, spend some time writing some drafts. It will help you to find your beat and what your passion is. 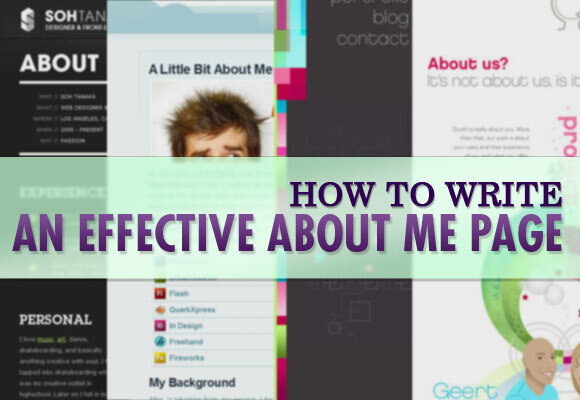 In the midst of your planning, be sure to visit other blogs to capture a sense of their tone and style of writing. WordPress and BlogSpot are popular hosting sites that have free services. However, like all products and markets, the blogosphere has its own set of existing products and channels. Be sure to do your own research and explore sites that are prevalent for professionals in your field. As such, be very strategic with what type of format you desire to have. Will you update daily, weekly, or monthly? Will you have more of a casual tone or do you desire to be a primary news source? All of this should be properly assessed and researched. Social media like LinkedIn, Twitter and Face book are perfect for this but there are a variety of other ways to drive in traffic as well. Search Engine Optimization (SEO) is a huge way to drive in traffic. They key to SEO is keywords. Creating your own is a sure way to increase readers and awareness. This is not your full-time job. If you do not enjoy updating your blog, then stop blogging. Likewise, if you enjoy it, then be sure to connect with some paid bloggers and gain advice on how to make your goal a reality! My “About” Page is still in progress. I’m sure i’ll update it periodically as I continue with my research. I feel like that is the beauty of blogging…constant updates, with no backtalk! Came across this great article today that features 10 ways to create your “about page”. I think these are great points. Feel free to check it out here. What are some pertinent factors that you believe should be included in an effective “about” page?